I can’t remember her name, but I can still see her face. The weight came off my shoulders, as baggage was lifted away. 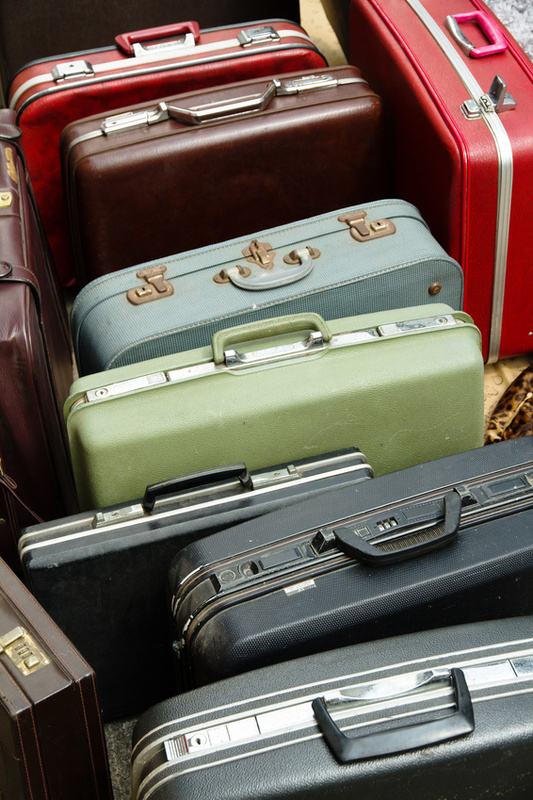 If you’ve traveled on an airplane before, you know how luggage can be. It’s heavy like the luggage we carry on car trips, and tends to shift ever so slightly out of reach in the overhead compartment. That is, if we’re lucky. During other times the luggage does shift, falling heavily on our heads as we open the compartment. I’ve felt the wrath of both types of luggage shifts on a plane. The luggage we carry around in our mind can be just as heavy, if not more so. I know quite a bit about the luggage we carry in our minds as well. At the time I was stopped after class, the personal luggage I carried around in my mind was quite heavy, having been carried for a long time. I was painfully shy at that time, having grown up with one leg significantly shorter than the other. While the leg issue was solved over several years, the luggage remained. I still felt out of sorts after feeling the heat of stares, the thunderous whispers and callous remarks made by classmates and others. Even going to a store felt like a difficult experience in my early years. The luggage of feeling very different from everyone else seems to linger much longer than any physical issues ever could. It was time for me to sing, in order to get out of my shell. My plan was to ask one question each day during the course the day. Two things are important about this strategy. First of all, I’m not exactly a “rocket scientist,” so I was virtually assured of having at least one question during the course of my classes. Secondly, asking a question definitely took me out of my comfort zone a bit, but it was possible to achieve. And so, for several months I asked one question each day. Face flushed, throat dry, but mission accomplished each day. It was at the time I was stopped after class that I truly felt as if part of the heavy baggage became lifted from my shoulders. My daily task became easier, and along the way I was able to apply myself in other ways. Eventually, the baggage was lifted away. Many who know me today would never guess that I was painfully shy at one time in my life. In fact, some wonder if I’ll ever stop talking or asking questions! The kind word of a classmate served as the tipping point. Words can be a powerful, having the ability to destroy as well as to heal. In this case, the words served as a powerful healing agent – moving the baggage that had “shifted in flight” so that it could be reached and lifted away. What can we do to help others lift their unseen baggage with just a few kind words in the upcoming year? The possibilities are limitless and exciting at the same time!